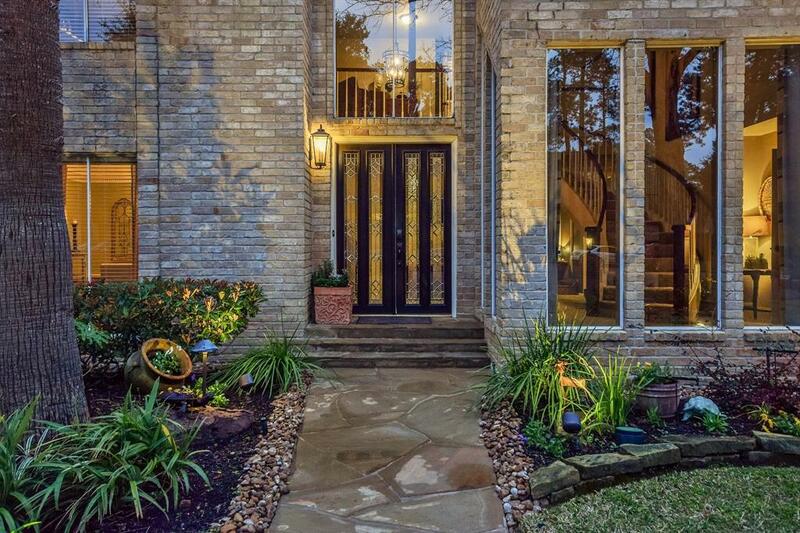 Gorgeous home situated on a quiet cul-de-sac street. Recent updates-Roof, Plumb w/Pex, tankless water heater, operational windows double paned. Docs for complete list. 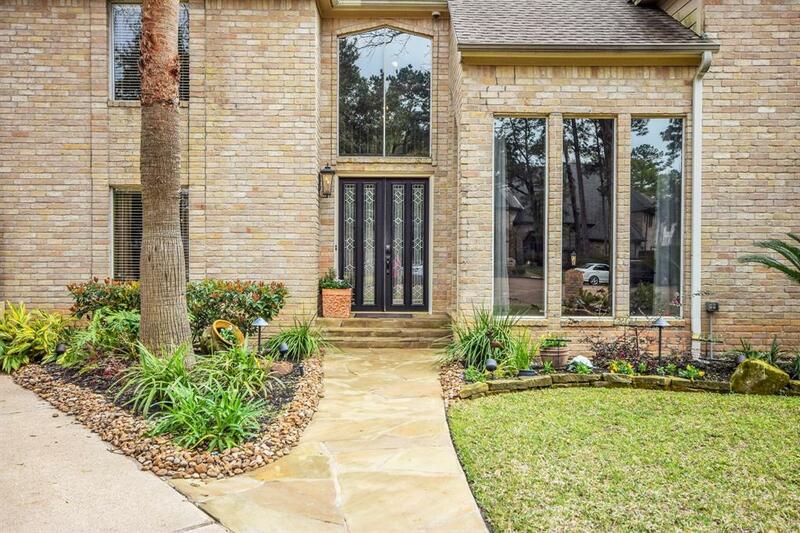 Beautifully landscaped yard leading to exquisite lead glass double door front entry. 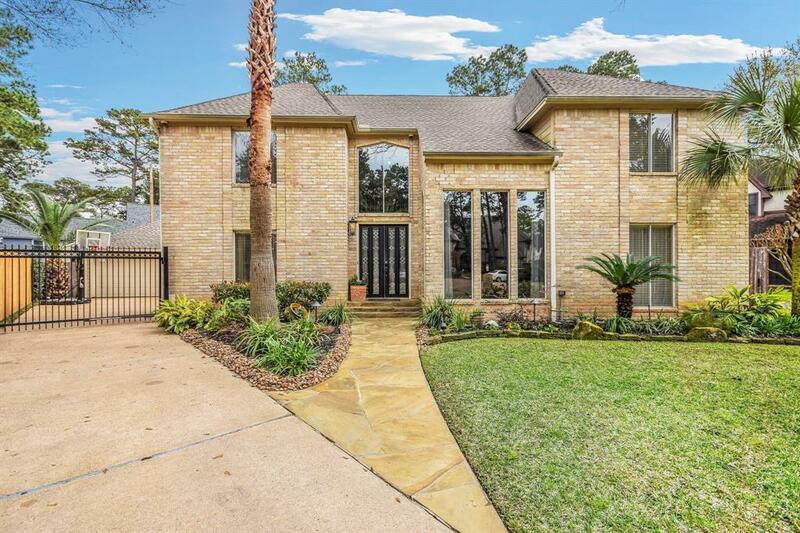 Grand two story foyer with spiral staircase, wrought iron chandelier and soaring floor to ceiling windows, opens to dining room and family room. Step into the large family room and notice the high ceilings and exquisite woodwork dental crown molding that extends thru the 1st floor. A beautifully updated stacked stone fireplace flanked by picture windows overlooking the stunning backyard oasis. Don't miss the marble topped wine bar discreetly tucked behind the double doors. The classic style island kitchen boasts a huge picture window above the copper farmhouse sink! The master bedroom with updated en suite has easy access to the backyard. 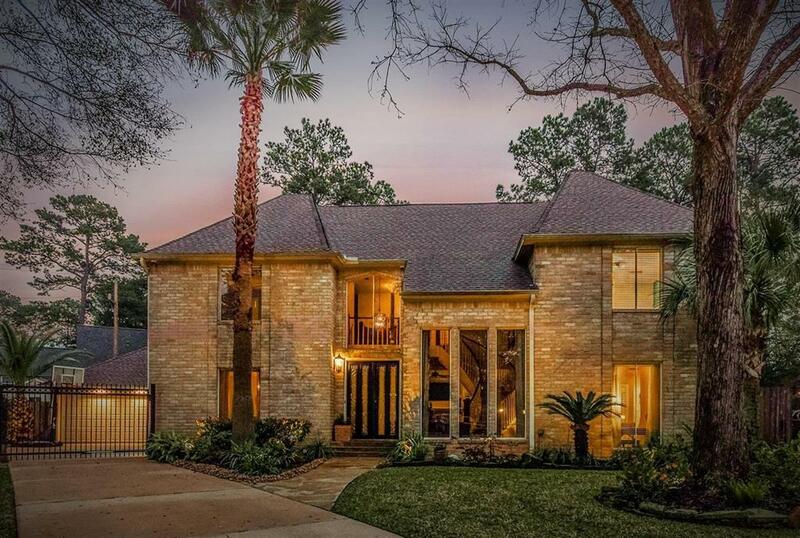 4 huge bedrooms, 2 full updated bathrooms and a lrg game room up. Never flooded. 9'+ ceilings.